Home › 70's Cinema › RIP Legendary Haskell Wexler! His Prescient “Medium Cool”! 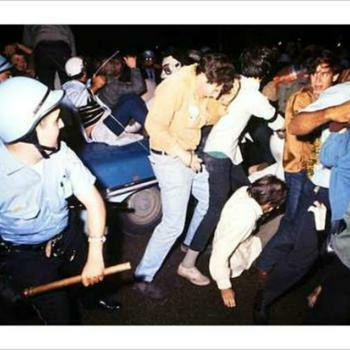 1968 Chicago Riots! America’s Political Turmoil Captured On Film!! RIP Legendary Haskell Wexler! His Prescient “Medium Cool”! 1968 Chicago Riots! America’s Political Turmoil Captured On Film!! 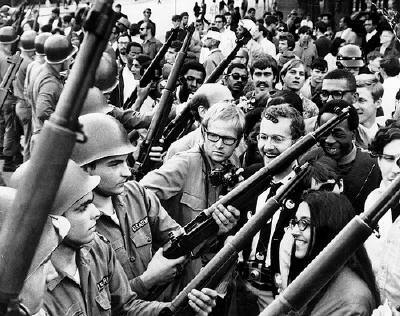 A longtime liberal activist, Wexler photographed some of the most socially relevant and influential films of the 1960s and 1970s, including the Jane Fonda-Jon Voight anti-war classic, “Coming Home”, as well as the 1969 Best Picture winner “In the Heat of the Night”. He worked with Francis Ford Coppola on the Ocar-nominated “The Conversation”, and worked with George Lucas on “American Graffiti”. Finally, he also worked on the 1975 Oscar-winning Best Picture “One Flew Over the Cuckoo’s Nest”. 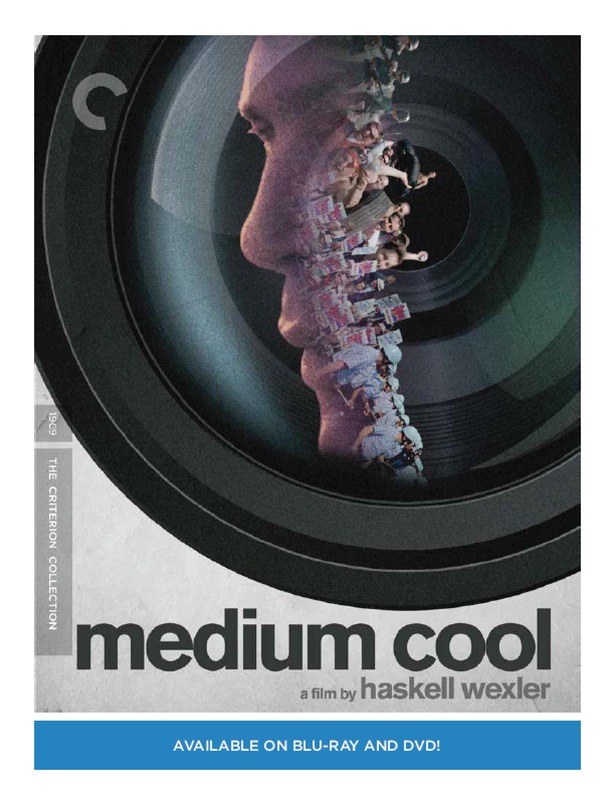 One of his most influential films was 1969’s “Medium Cool”, which he financed himself for $800,000. Here is a look at this brilliant film. Even though we currently live in contentious political times, history has shown that nothing has changed. So many significant cultural events get lost to time. 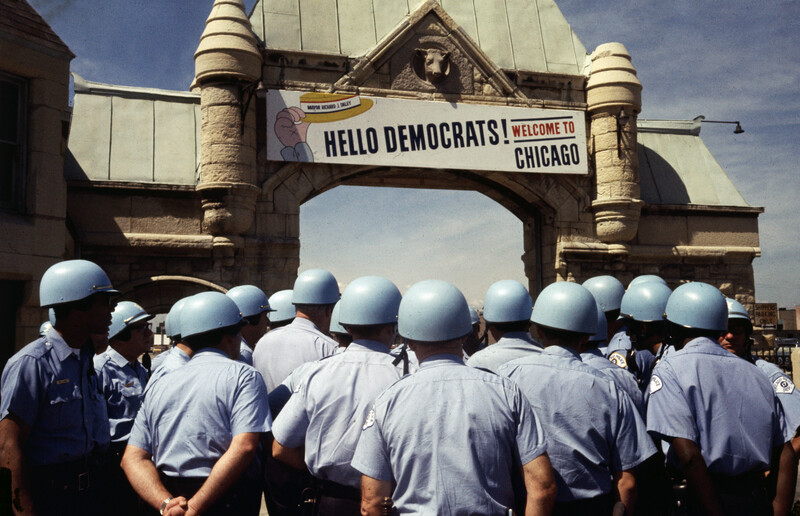 For example, most people don’t remember that the 1968 Democratic national convention held in Chicago ended up in a riot that led to the iconic phrase “the whole world is watching”! 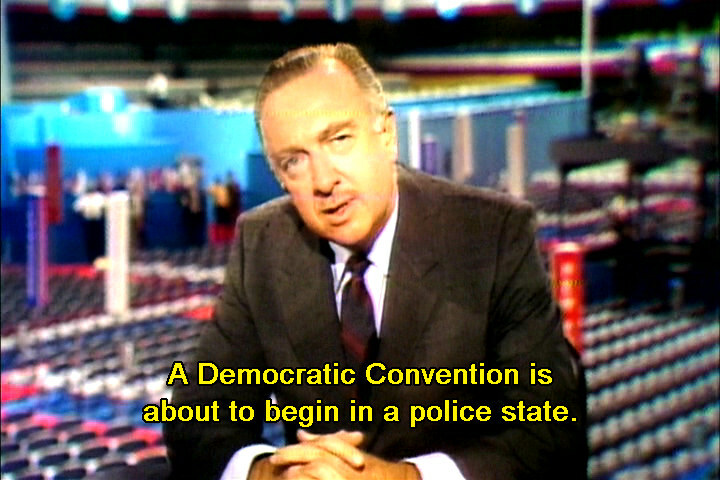 Long before REM sang about Dan Rather in “What’s The Frequency Kenneth?”, the veteran New Anchor was a CBS News Reporter assigned to cover the democratic national convention – from the convention floor…no big deal, right? Well, look at this! I found some footage of Rather being assaulted by security guards as he was trying to do a live report from the convention floor! 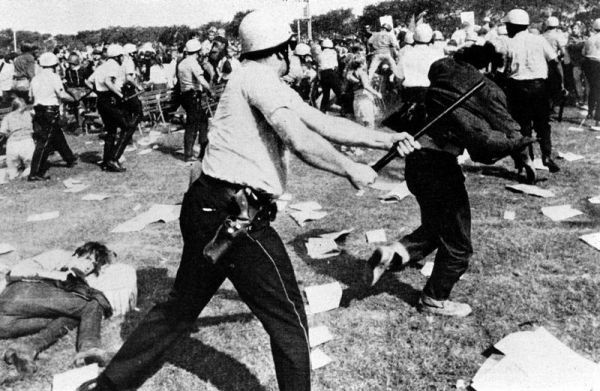 This political convention captured the turmoil of the times – anti-war protests were everywhere, and violence was erupting at most of them. More on this dramatic time in our history in a moment, but first, let’s look at a legendary movie that actually captured it all! 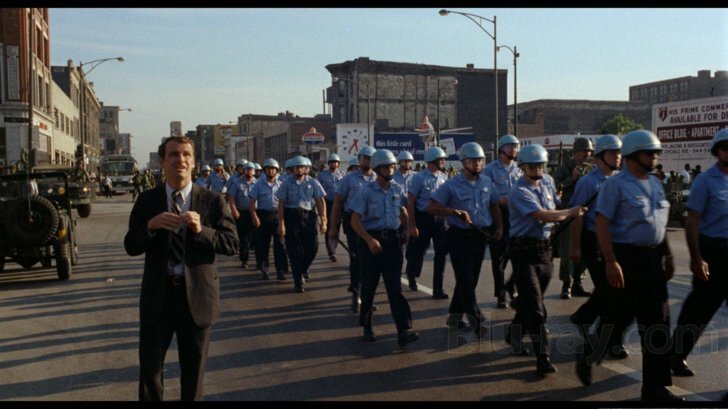 “Medium Cool” is a 1969 film directed by Cinematographer Haskell Wexler that told the story of a news cameraman who captures the Chicago convention riots – and the filmmakers actually filmed scenes for the movie in the midst of the mayhem – while the riots were going on! The film stars Robert Forster, who Quentin Tarantino cast in his classic “Jackie Brown”. 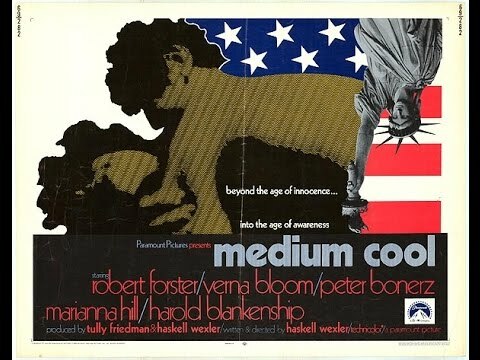 “Medium Cool” also starred Verna Bloom, and was filmed in Chicago in the summer of 1968. 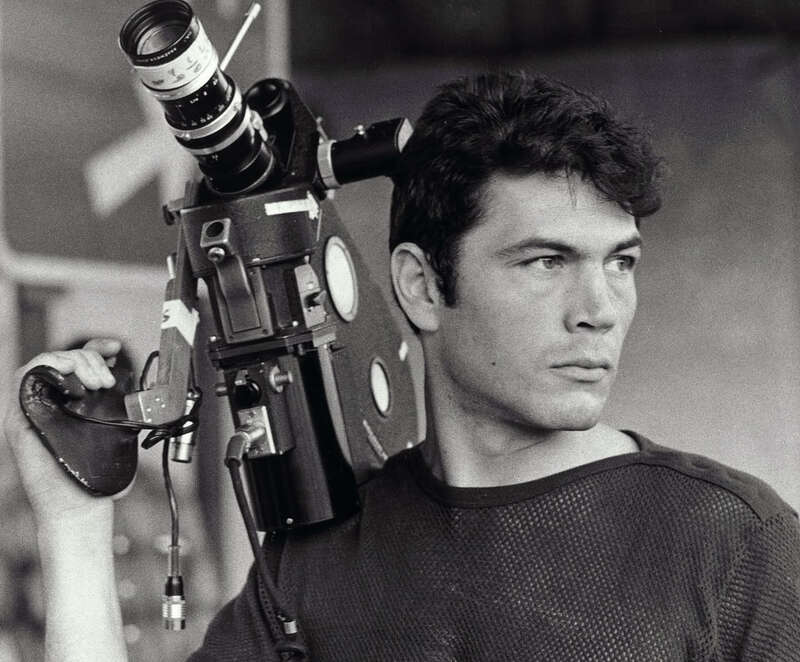 The movie became much more than a film when Wexler decided to shoot several scenes around the protests that were taking place outside the Democratic convention. Many political observers feel that the student protests undermined Vice President Herbert Humphrey, and led to Richard Nixon’s victory in November. As you see in the film, the protests were real, and they became violent because the Police decided to attack the protesters! 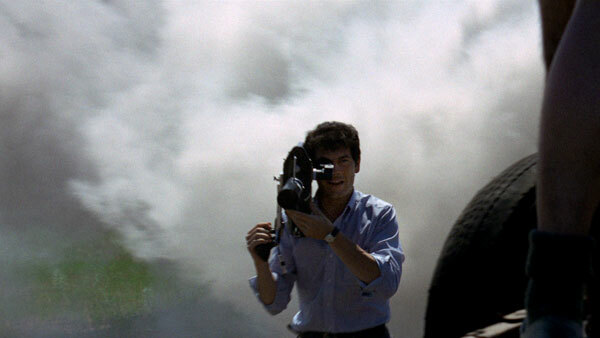 That was a crew member warning Director Haskell Wexler that things were getting out of control – and they were, but guess what? That line was actually dubbed in after the shooting! According to the website IMDB, it was what Director Wexler was thinking to himself as he was filming – as the reality of the riot was closing in on him – and he wanted to include it in the film! In 2003, the film was selected for preservation in the United States National Film Registry by the Library of Congress as being “culturally, historically, or aesthetically significant”. Here is the newly released Criterion Collection special edition. Kudos To The Criterion Collection! Wow! What a great collection of extras for the film! 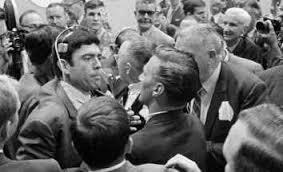 “Medium Cool” captured the chaos around the 1968 Democratic National convention, but here is the story of what CBS News Reporter Dan Rather captured inside the building! Dan Rather Assaulted Inside The Convention! 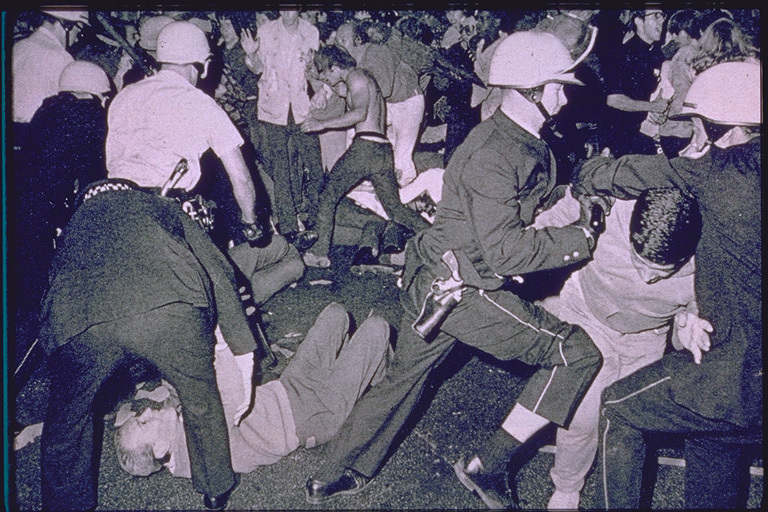 August 28, 1968 came to be known as the day a “police riot” took place. 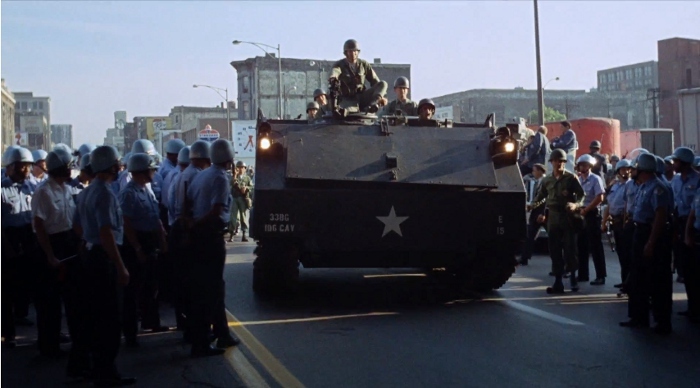 The title of “police riot” came out of the Walker Report, which amassed a great deal of information and eyewitness accounts to determine what happened in Chicago. More than 10,000 protesters gathered in Chicago’s Grant Park to protest America’s war in Vietnam. 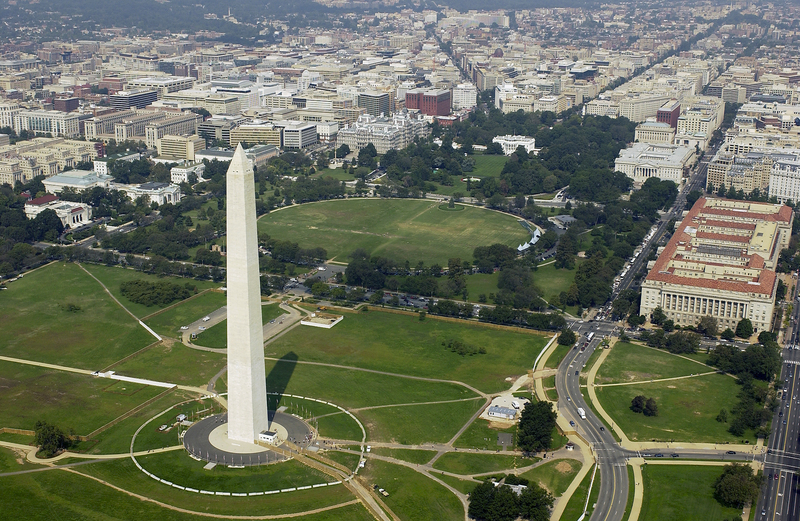 The protest was planned to coincide with the Democratic National Convention. According to wikipedia, soon after the protest began, bottles and rocks were thrown and the police moved in with tear gas. 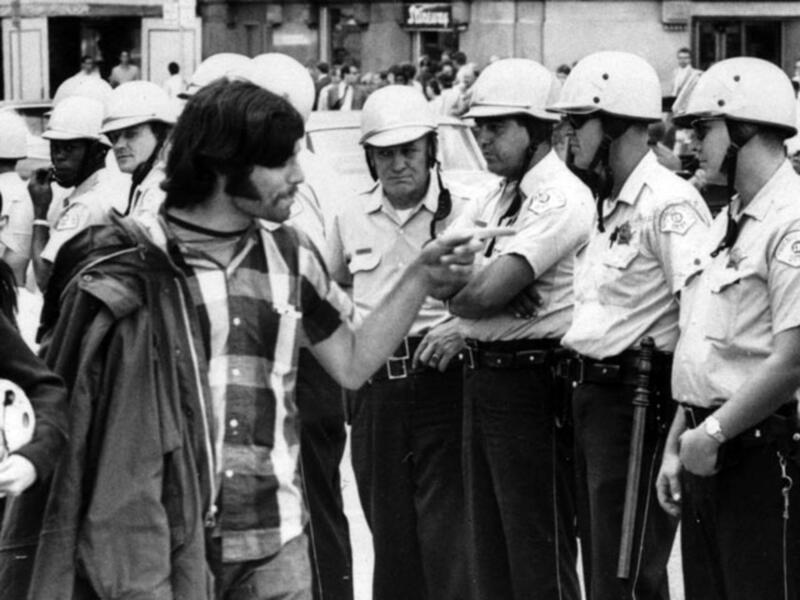 Tom Hayden, one of the leaders of Students for a Democratic Society, encouraged protesters to move out of the park to ensure that if they were to be tear gassed, the whole city would be tear gassed, and made sure that if blood were spilled in Chicago it would happen throughout the city. 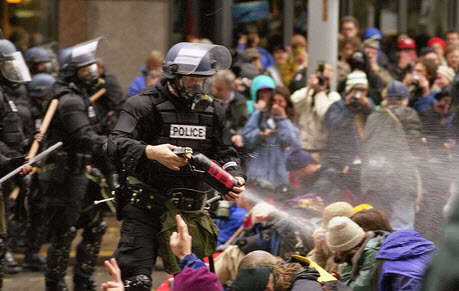 The amount of tear gas used to suppress the protesters was so great that it eventually made its way to the Hilton Hotel, where it disturbed Vice President Hubert Humphrey while he was in the shower! 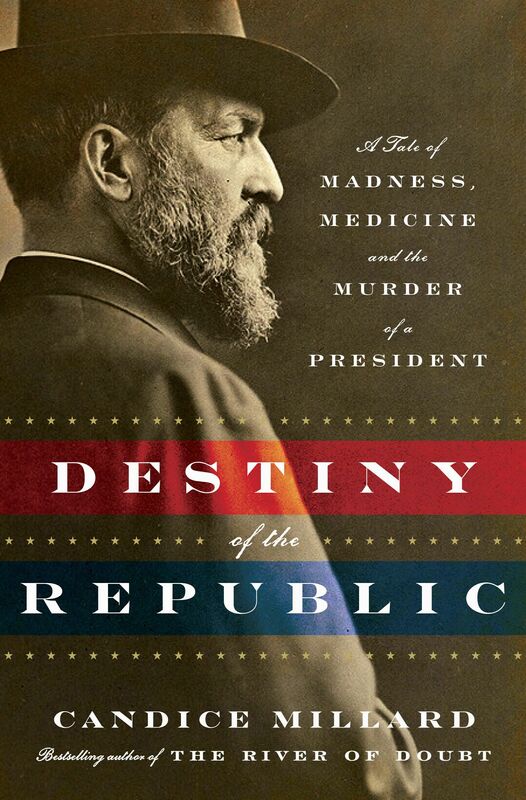 This is just one of many dark moments in our nation’s political history, and in many cases, history continues to repeat itself. This was the election that saw Richard Nixon win the presidency over Humphrey, and we all know how that went! The office of the President is filled with dramatic historical moments like this! The entire political process fascinates me, no matter how broken the system is! ‹ Supertramp Forever! “Breakfast In America”! 70’s Progressive Pop Is Back! RIP to the legendary Haskell Wexler!